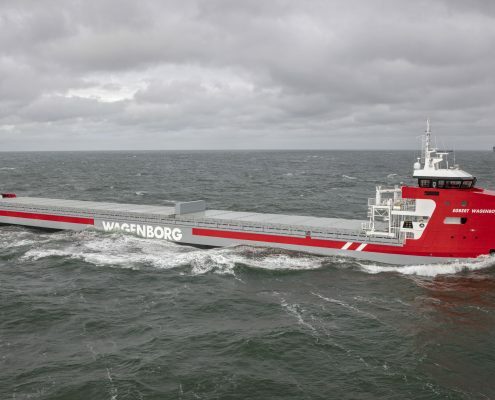 Multipurpose open top ICE-class 1A general cargo vessel. 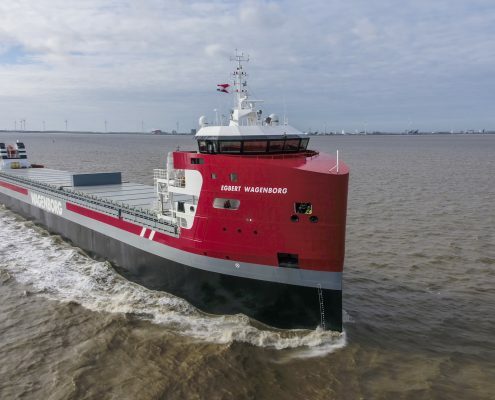 Champion efficiency and sustainability in her class with world class low EEDI. 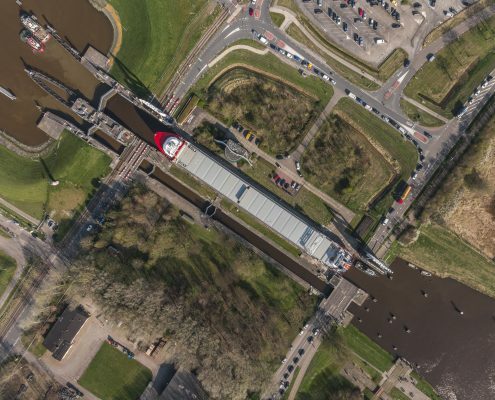 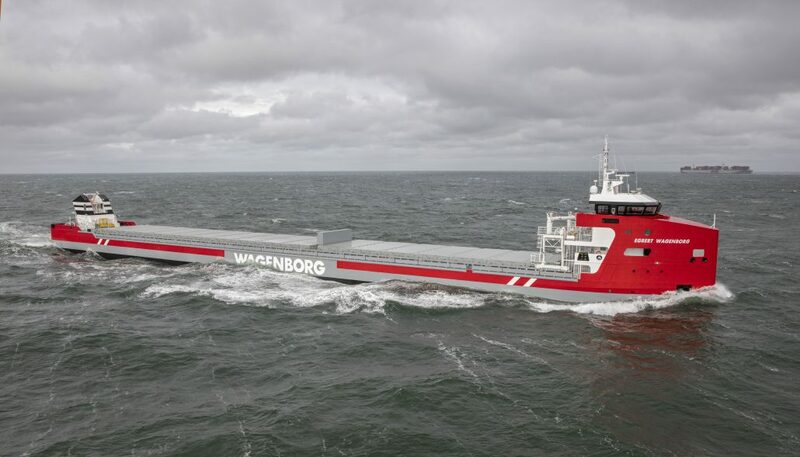 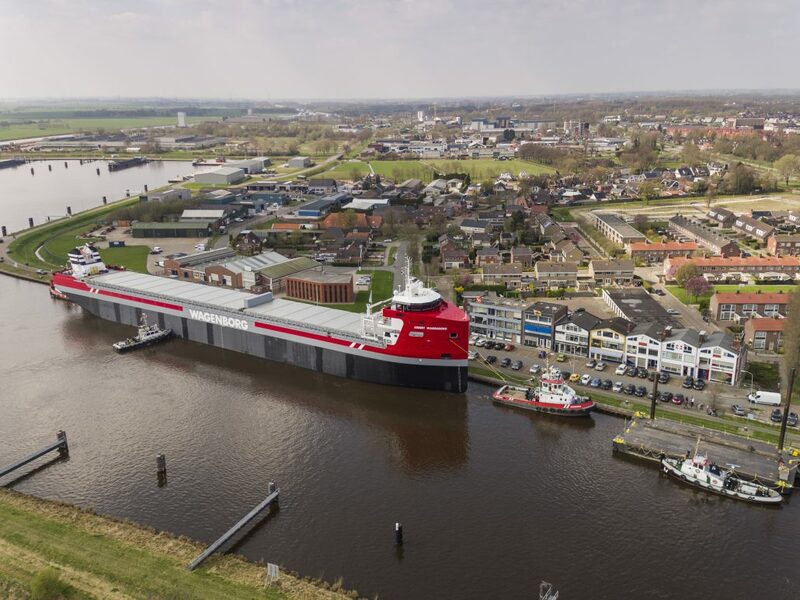 For, and in close co-operation with Royal Wagenborg and Royal Niestern Sander, Conoship International developed a next generation open top (hatchcoverless) ICE classed general cargo vessel. 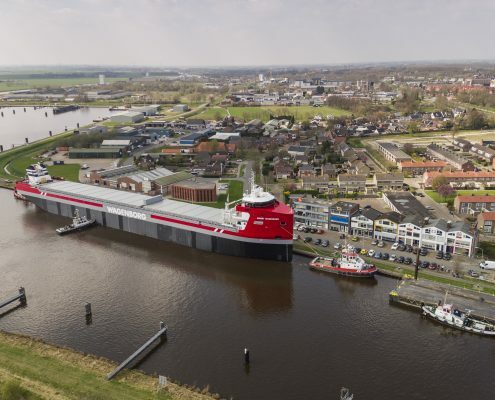 The challenge in this project was to get a maximum hold volume, maximum deadweight and minimal fuel consumption within the size limitations of the vessel. 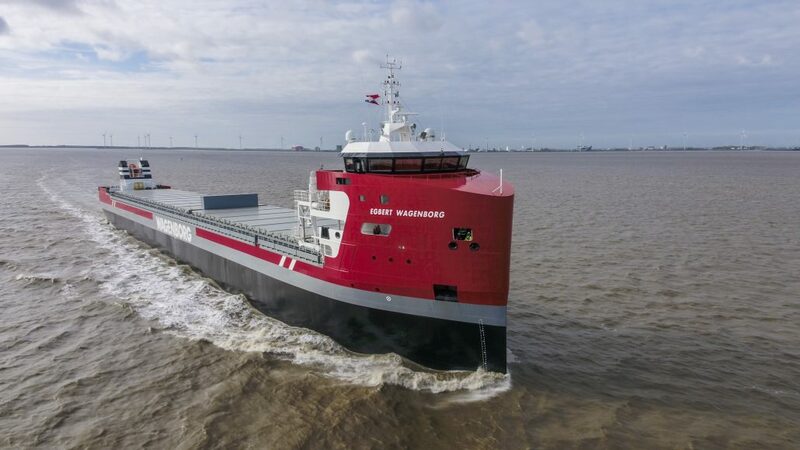 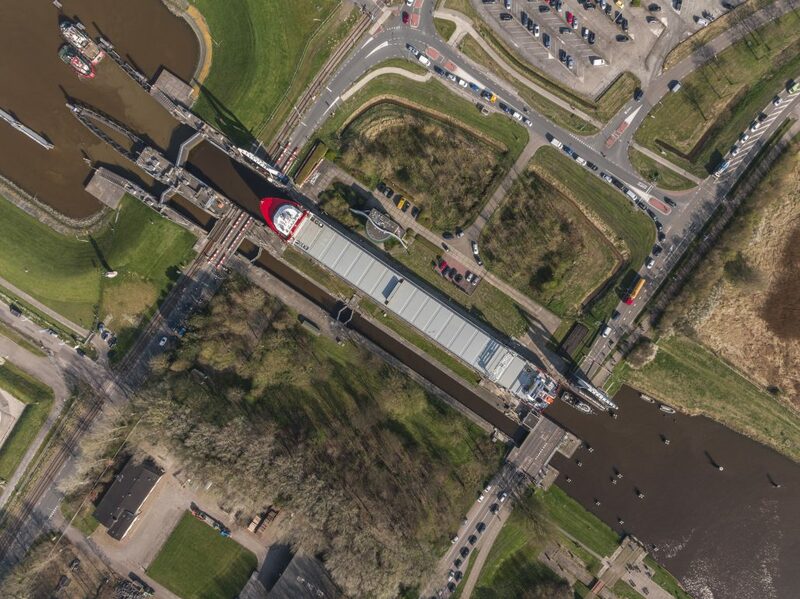 The combined effort of the shipyard, the owner and Conoship International resulted in a fuel efficient, high capacity general cargo vessel with only a 2,999kW engine at a DWCC of 13,500 tons, at a service speed of 11.0 kn. 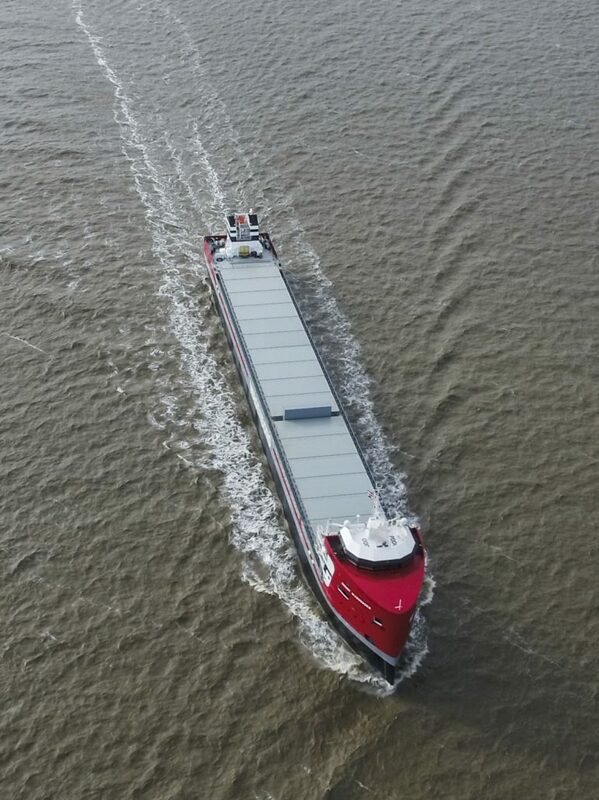 Conoship International is very proud of our role in this project and this world class open top vessel. 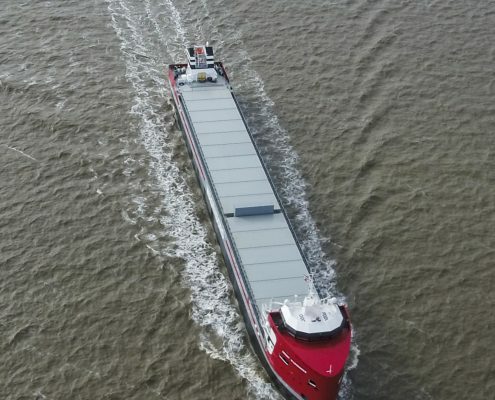 The ability open top sailing in combination with the bridge on the forward side of the ship enhances the vessels flexibility for high special cargo.